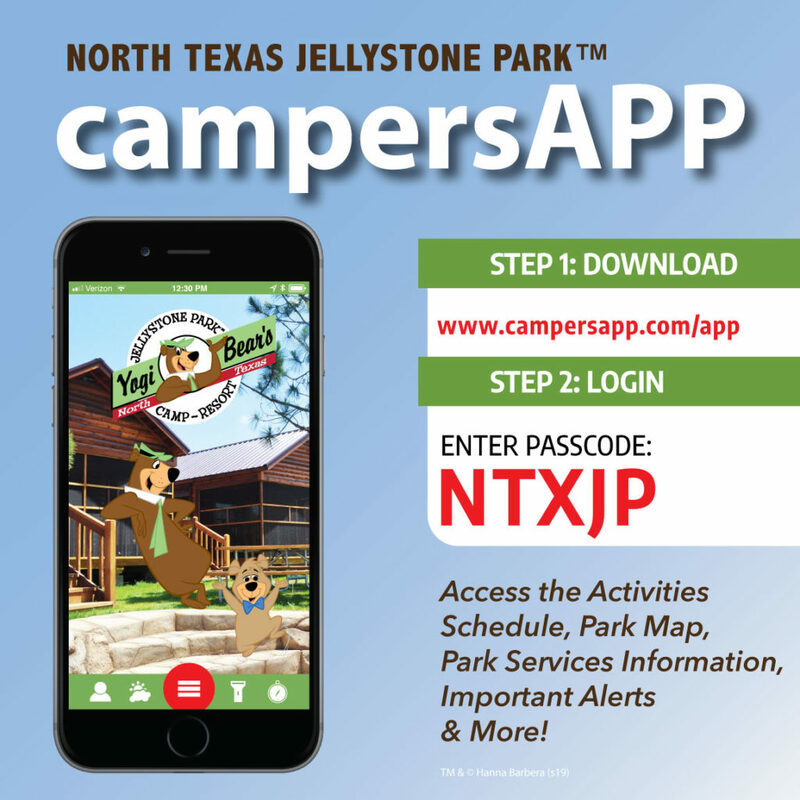 Roses are Red, Violets are Blue, at North Texas Jellystone ParkTM we love hosting you! Nothing says “I love you” like treating your family to a Valentine’s Day weekend getaway with Yogi BearTM & Friends. Here at the park, we have discovered the way to a camper’s heart is through a fun-filled weekend of activities. Try and survive our “Death by Chocolate” Eating Contest. Scavenge the park for the bouquets of flowers they Yogi Bear has scattered around for Cindy Bear. Saturday night bring the whole gang to our “Family Times” Party free of charge for an evening of dinner, music, dancing, and more. Come to win some candy in Musical Hearts! See which team can gather the most Hearts in the Heart Relay! Have the whole family come together as a team and compete to see you can get a three in a row in Human Tic Tac Toe! Life is S’more Fun with Friends! Come roast some s’mores and make a new friend. This year, we are making our Valentine’s Day about celebrating family. Surprise all your special Valentine’s with a fun-filled weekend at North Texas JellystoneTM. Our Homestead & Family cabins have enough room to accommodate larger families celebrating the Valentine’s Day weekend together. We have many lodging options from which you may choose. Our Premium and Rustic cabins have Jacuzzi-style tubs in them and some are available with fireplaces, as well, to spice up the evening, for couples spending their special weekend with us. Weekends in February, each guest room will be adorned with rose petals to celebrate the month of love. with dinner/entertainment/dancing/activities from 6:00-9:00 pm. Reservations are required for the event. Book early to ensure your spot. Family -Friendly Catered Dinner @ the Guadalajara Hall beginning @ 6:00 pm, sharp. The fun continues with entertainment, fun, and games at the Backstreet Patio to keep everyone dancing the whole evening until 9:00 pm. The evening will be filled with family-friendly activities and a memorable time spent with those you love.